Many married couples utilize a joint bank account where they deposit paychecks and other funds. Once your divorce is finalized, you need to be sure to take your ex-spouse’s name off the bank account and establish your own account. In fact, it is recommended to open a personal bank account prior to filing for divorce so you are able to access funds easily throughout the divorce process. If you continue to retain coverage under your ex-spouse’s employer-based health insurance, you need to file paperwork for continued coverage under COBRA. This is a federal law that allows you to continue your health insurance coverage on this policy for between 18 and 36 months. If you have a life insurance policy, you need to change the name of the designated beneficiary from your ex-spouse to another beneficiary (e.g., child, sibling, parent, new spouse, etc.). Check if your insurer can simply amend these details in the event of a divorce. If your insurer cannot amend your policy, you will need to fill out new insurance forms. Check to see whose name is on your automobile insurance policy for the car that you are driving on a daily basis. The policy on any car you are operating should only mention you as the owner of the insurance policy, and your children (if they are of the appropriate age). Check with the auto insurance company and get all relevant documentation related to your policy. This includes your declaration page that defines the amount of coverage, in addition to the individuals covered under the policy. Do I Really Need to Retain an Lawyer to Help with these Divorce-related Matters? Yes. A divorce is a life-changing event. It can be mentally and emotionally draining and you may not have even thought about post-divorce details like updating your insurance policies. The necessary changes to your policies do not take effect automatically once the divorce agreement is finalized. An experienced lawyer can help. 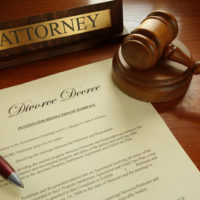 To ensure your divorce goes as smoothly as possible, including post-divorce matters such as updating your insurance policies, you need to retain the services of an experienced Houston divorce lawyer. The office of Lindamood & Robinson, P.C. is here to help. Our team of experienced and skilled Houston divorce lawyers can meet with you when you are ready. We are seasoned trial lawyers who know the ins and outs of the divorce process. Contact our office to schedule a consultation.